Have you ever looked closely in the mirror and noticed little white bumps around your eyes and cheeks? No, they are (probably) not whiteheads, and neither do they have the same genetic composition as acne. Whiteheads are usually caused by a mixture of dead skin cells, sebum and dirt clogging your pores, resulting in a closed comedone that is slightly tender to touch. On the other hand, milia is caused by keratin trapped at the base of follicles or heavy creams, and they are not an infection. When you run a finger over these bumps, it should generally feel painless and akin to a grain of sand. 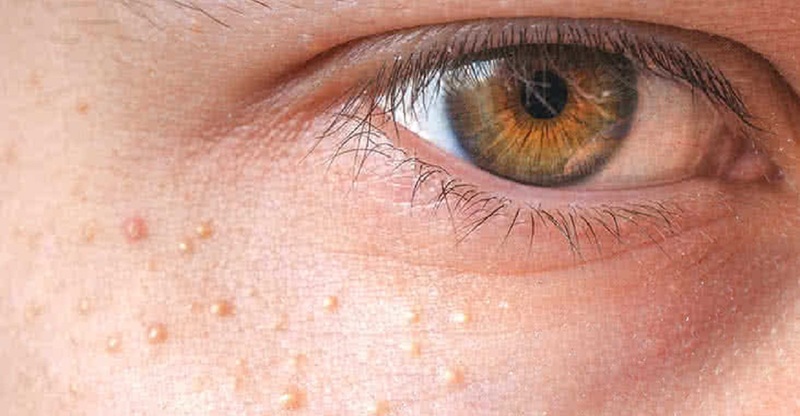 The good news is: these pesky little milia spots can be easily removed with professional treatment. With the help of Men’s Expressions Milia Seeds & Oil Clog Removal Treatment, your milia seeds will be professionally removed by our trained aestheticians through Advanced Electrolysis plus a pampering facial. Best part of the treatment? It is at a promotional price from $48 only! Worry not, the treatment will not take more than an hour, and there is no downtime at all. The milia will first be lanced open, and the keratin plug will be removed. Afterwards, all that is left is a tiny scab that will fall off naturally. Of course, to maintain your flawless skin after the procedure, do remember to gently exfoliate regularly to keep the keratin from building up and your pores clean. These will generally help your skin to stay breakout-free as well. Also, if you are genetically prone to milia, do use oil-free cleansers and moisturizers to prevent milia from forming.